Funeral service for Joseph Paul Foster, 67, will be Wednesday, February 6, 2019 at 1:00 PM at Peck Funeral Home Chapel with Bro. David Carroll officiating and Peck Funeral Home directing. Burial will be in Caddo Cem. in Lawrence County. Visitation will be Tuesday, February 5, 2019 from 6:00 PM to 8:00 PM at Peck Funeral Home. Mr. Foster died on Saturday, February 2, 2019 at his residence. He was born April 14, 1951, in Morgan County to Johnny Earl Foster and Maggie Riddle Foster. He was a painter and a member of Victory Fellowship Church in Falkville. 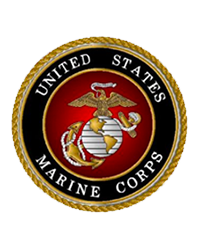 He was a veteran of the United States Marine Corp serving during the Vietnam War. He was preceded in death by his parents, two brothers: Johnny Foster, Jr. and Roy Delbert Foster, and a sister: Wanda Moradi Foster.